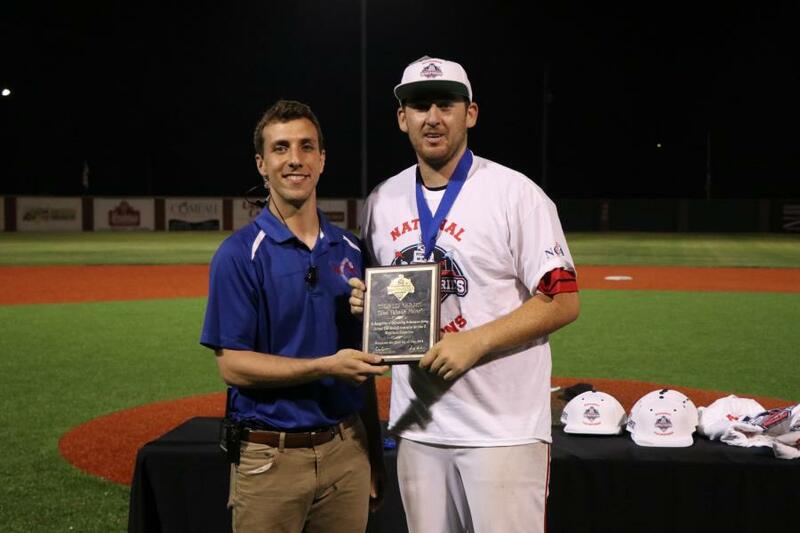 Congratulations to Ryan Chibidakis of San Diego State, for taking home MVP honors at the 2018 NCBA DII World Series. Ryan raked all week long to help propel his SDSU Aztecs to an epic World Series Championship Title . In their 4 games he went 7 for 11 with 1 double, 3 RBI’s, 2 runs scored & 1 walk.